Russia’s ombudsman reports drop in complaints against unfair trial | Russian Legal Information Agency (RAPSI). MOSCOW, February 12 (RAPSI) – The number of complaints against unfair judgments decreased in 2018 by 10% as compared to 2017, Russia’s High Commissioner for Human Rights Tatyana Moskalkova said Tuesday at the Supreme Court’s workshop for chairs of federal courts. According to Moskalkova, 3,885 complaints out of 38,698 concerned reasonableness in sentencing and other court rulings. In 2017, there were 4,317 such applications. The number of petitions submitted in 2018 by the ombudsman and her office to various judicial bodies has also dropped. In 2018, 332 applications were filed, that is 117 less than in 2017. As a result, five sentences were overturned, three motions in defense of applicants’ rights were granted, the ombudsman’s press service quoted Moskalkova as having said. 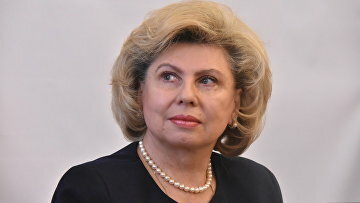 17:45 12/02/2019 The number of complaints against unfair judgments decreased in 2018 by 10% as compared to 2017, Russia’s High Commissioner for Human Rights Tatyana Moskalkova said Tuesday at the Supreme Court’s workshop for chairs of federal courts.